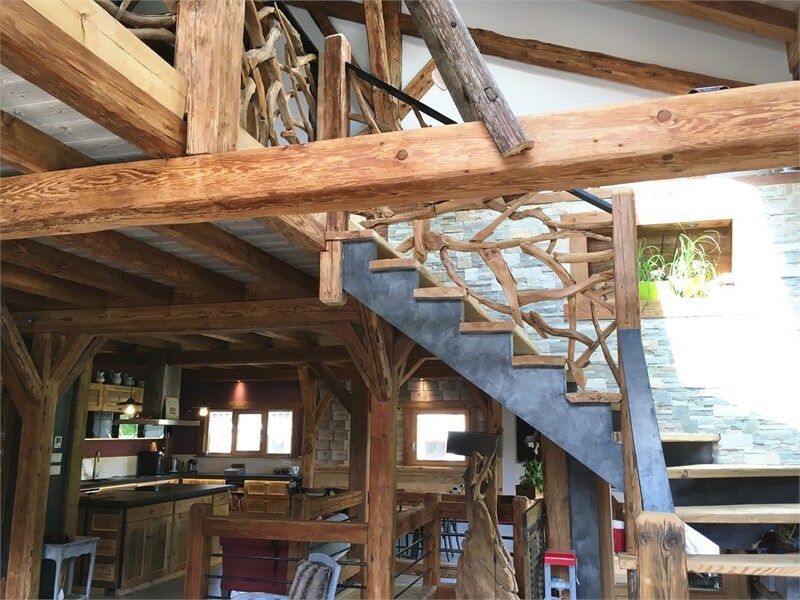 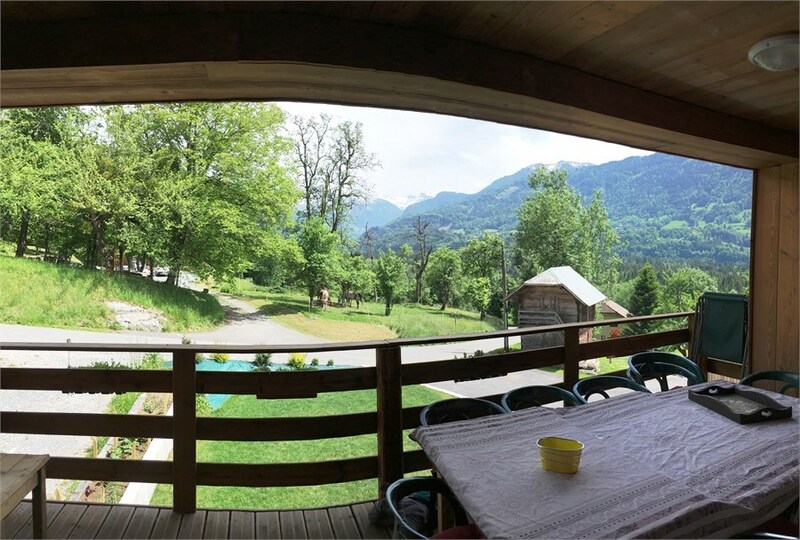 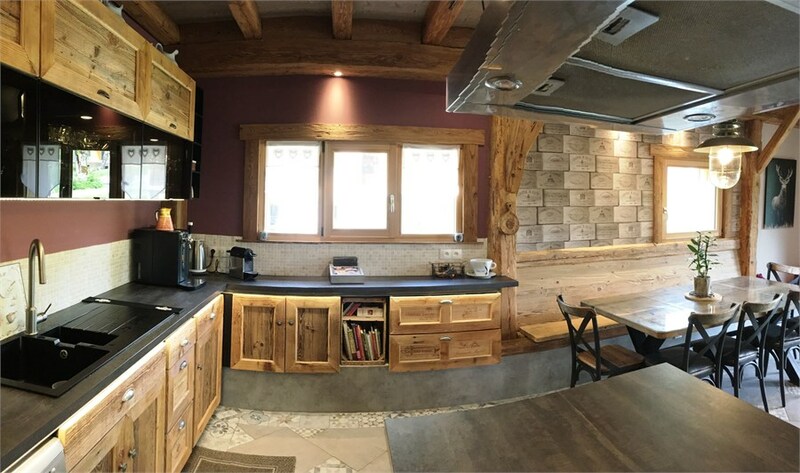 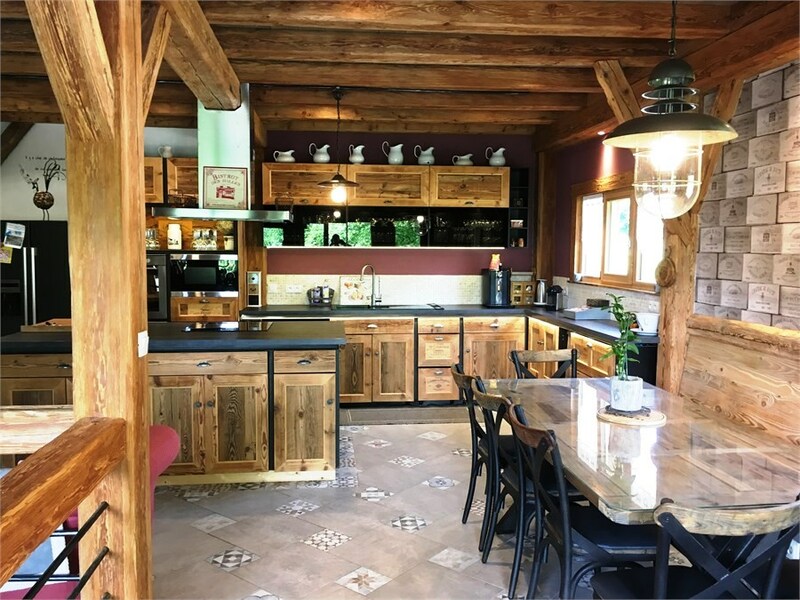 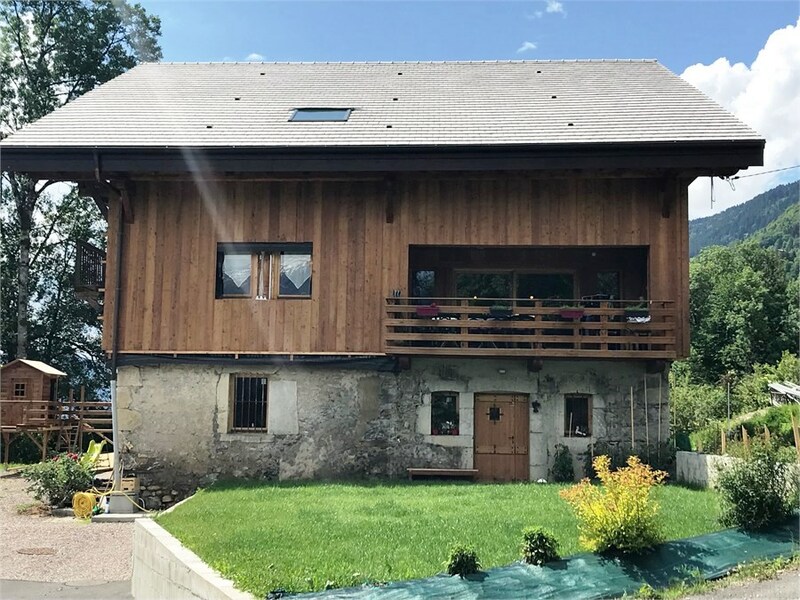 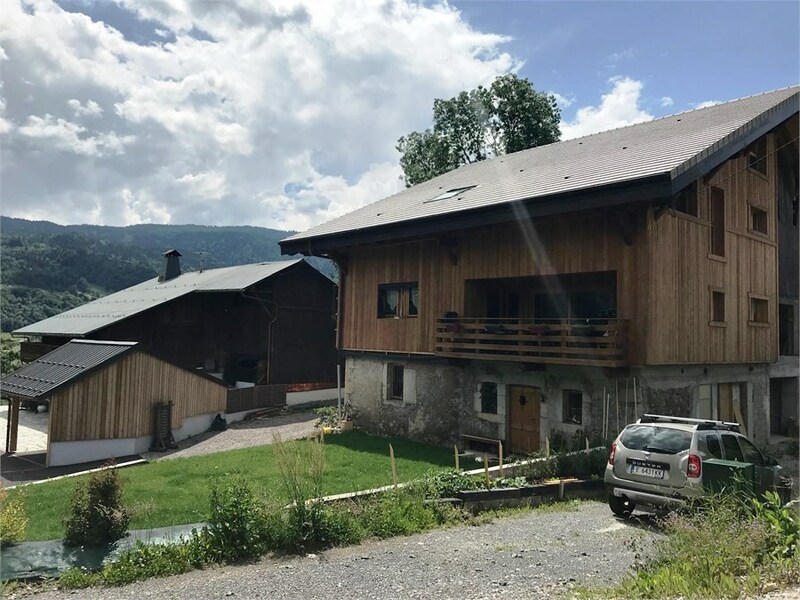 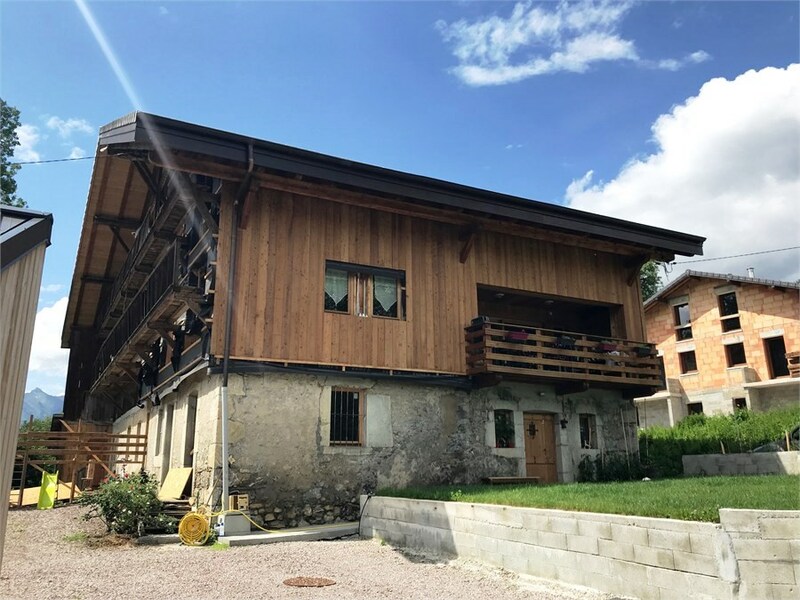 Located in a little hamlet on the south-facing mountainside above Samoens, this semi-deatched farm was renovated in 2016 to become a wonderful chalet with fine proportions and spacious living areas. 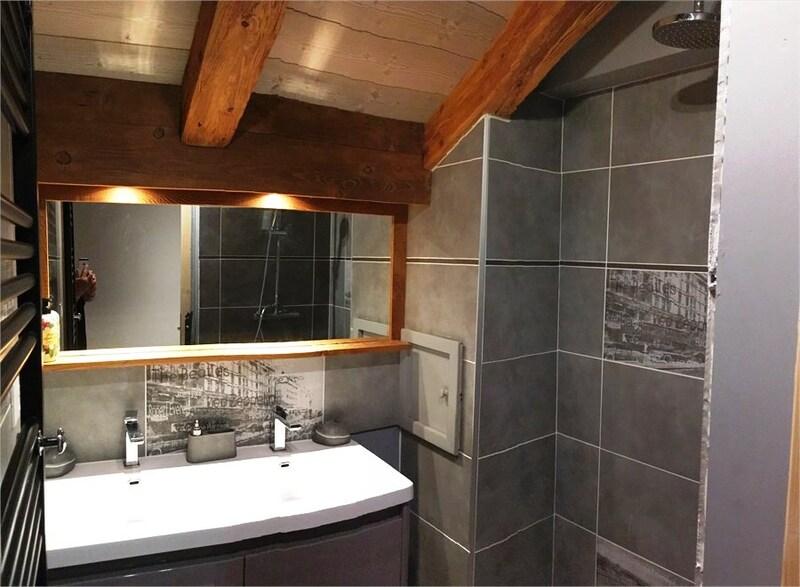 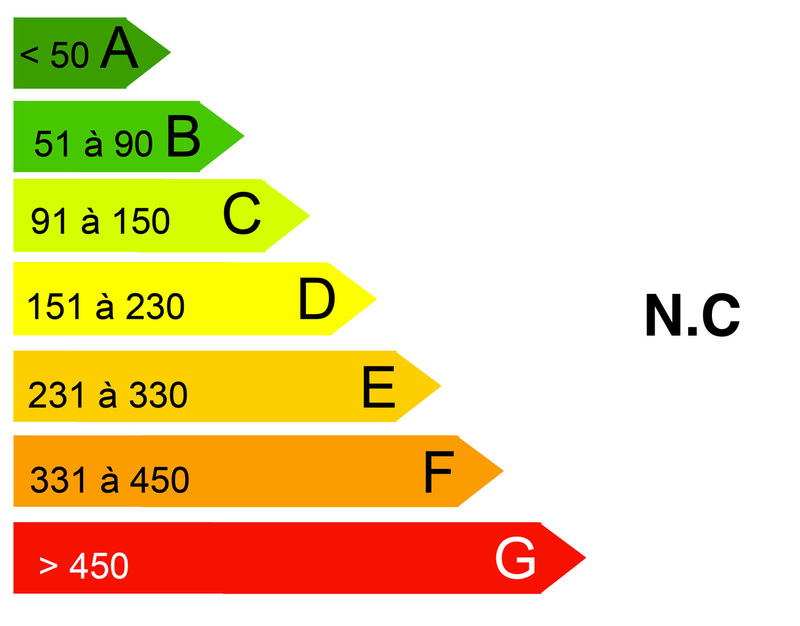 The renovation has been done with great taste, with a good balance of modern and original features. 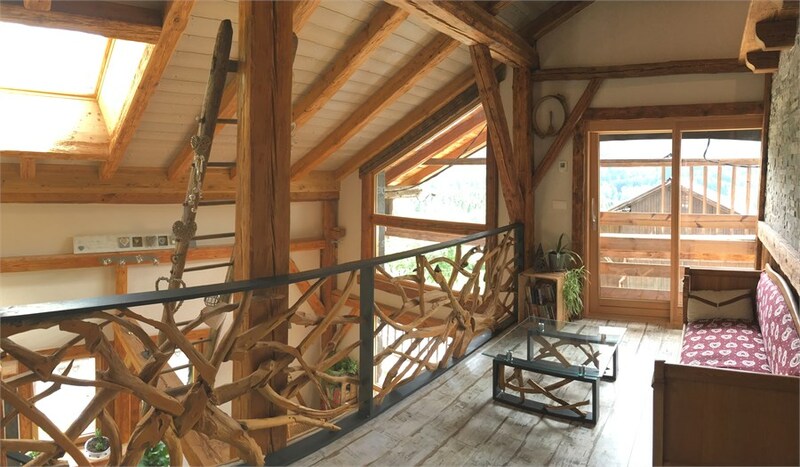 The roof beams and a lot of the indoor woodwork have been kept. 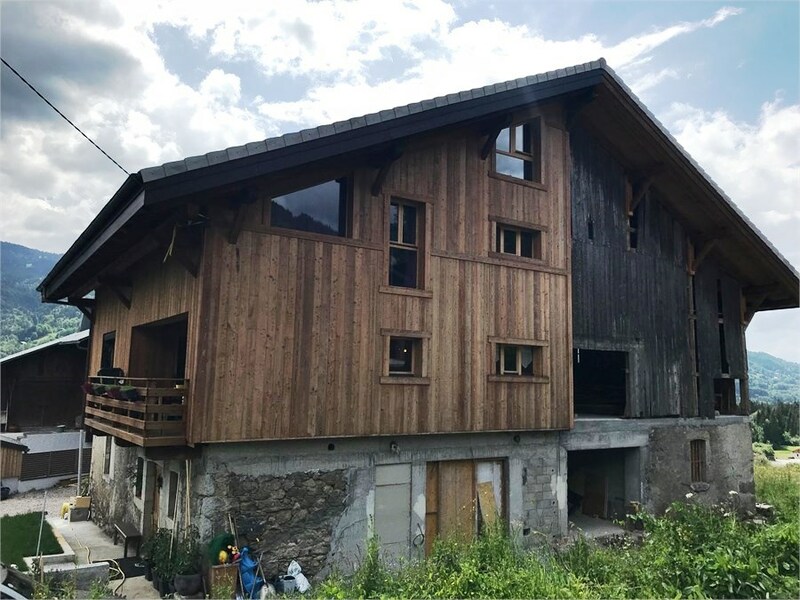 The cladding on one facade needs finishing. 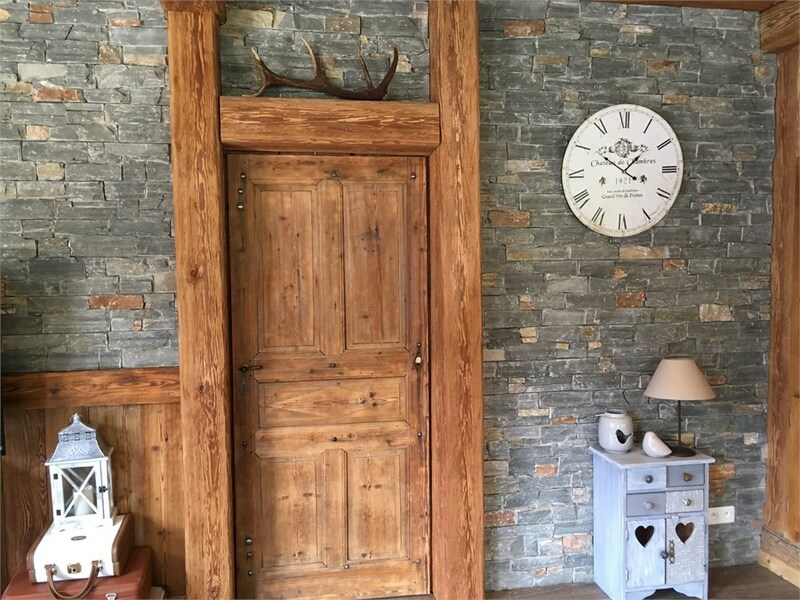 Entrance hall with cupboard, laundry room and large workshop. 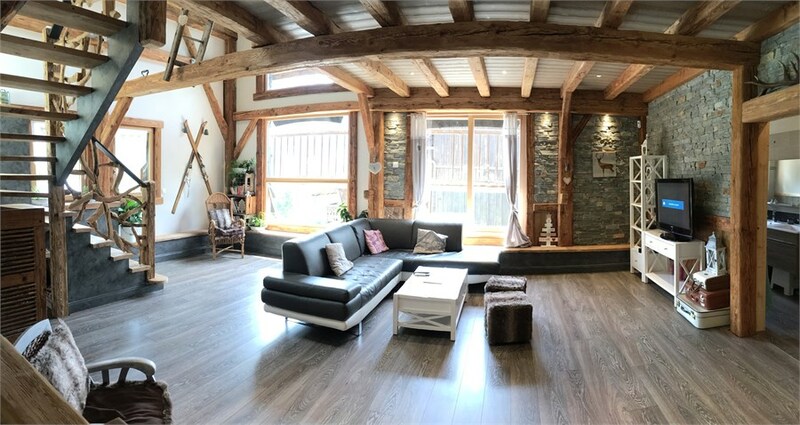 This floor could be converted to create an independent apartment. 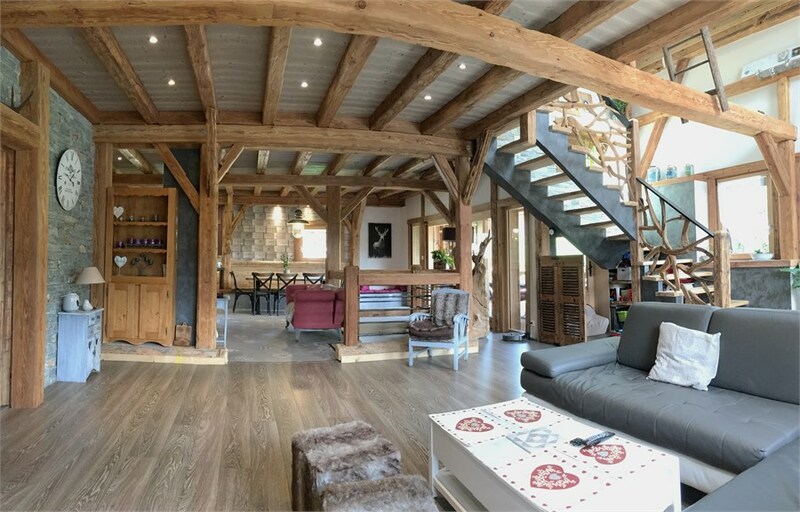 A superb living area measuring about 90m², completely open, kitchen, dining area and seating area which then opens onto a large terrace. 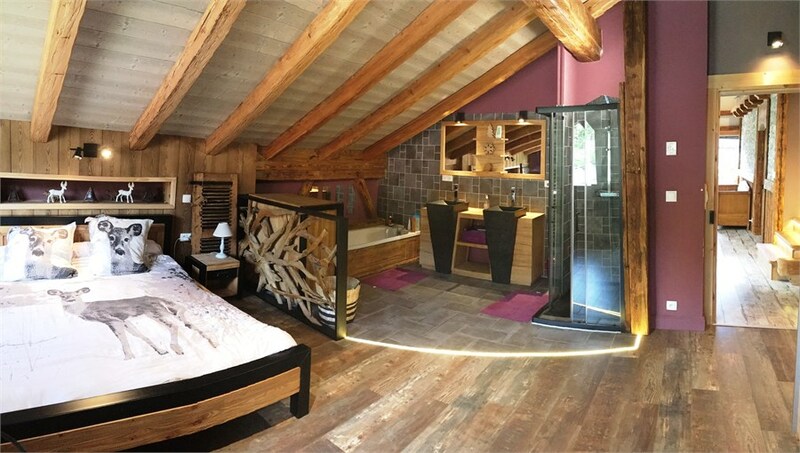 A mezzanine, two ensuite bedrooms and a spacious master bedroom with its ensuite bathroom and WC. 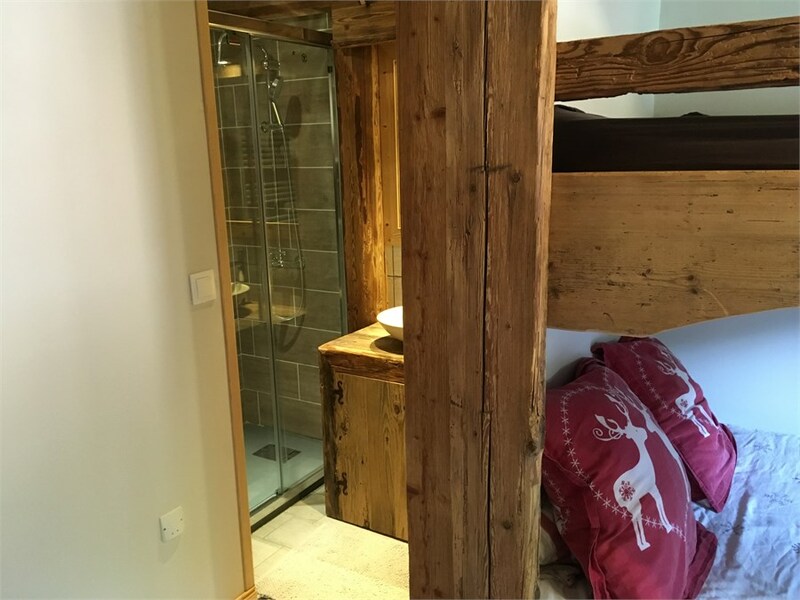 Under the eaves, so in part with sloping ceiling, two more bedrooms, a shower room and a WC.